I'm a race horse fan for three races a year. The first just happened a few days ago and it was a dooozy! The Kentucky Derby has been run for around 135 years now and the winner on May 2 – Mine That Bird – was the second longest odds in its history. Get this – FIFTY TO ONE! There was a horse in the Derby this year that was purchased for over $3 million. Mine That Bird was bought for $9600. WOW! This horse's claim to fame was that in a race in New Mexico (it was not a certified race by those who sanction races – it was not that big of a race in New Mexico), Mine That Bird finished FOURTH. I could go on and on but you get the amazing picture. The reason I like the three races is that as a kid May only held two major sporting events: the Derby and the Indy 500. 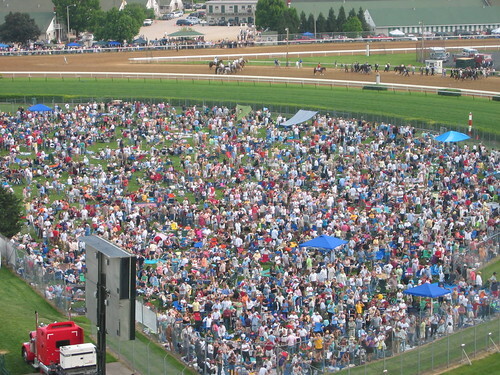 The Derby is the first leg of horse racing's Triple Crown. The second is The Preakness in Baltimore held next Saturday. The third is The Belmont Stakes run in New York 3 weeks later. The winner of all three is winner of the fabled Triple Crown. We haven't had a triple crown winner since 1978. And Selma and I saw that triple crown winner run, in person, at The Kentucky Derby in 1978. (Our 32-year old marriage was not yet two then!) 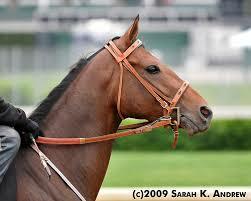 His name was Affirmed and he was a special horse for sure. I was just about to graduate from seminary in Louisville and we decided to go to this spectacle at Churchill Downs. (Selma has followed me to so many sporting events through the years. God bless her. Her own crown in heaven will need to have many, many stars in it!) The only place we could afford to go was to the infield and to get a view from the fence we had to get there early. Anyway, we got there, staked our "fence claim" and settled in for as more "life education" as I had in two years of seminary. It was like we were at a rock festival, so they tell me. Music everywhere, frisbees, and oh yes, quite a few mint juleps. We didn't partake, but as I said, we saw a lot that day. And Affirmed, Selma's horse, beat my horse, Alydar. In fact, they finished one-two in all three triple crown races – the only time that's ever happened. What a rivalry. So many times through the years we have hoped to see a new triple crown winner crowned, but alas, it hasn't happened yet. And it probably won't this year, but we can hope. It would be just like Mine That Bird, however, to make that happen. After all, he has clearly established that he is quite capable of beating long odds. Take a look. I don't know about in horse-racing, but sometimes long odds make for a clear statement from the Lord that He is in control. It was true for Gideon and it could be true for you, too. Check out the message, you'll see. And let's all pull for Mine That Bird in the Preakness this Saturday!